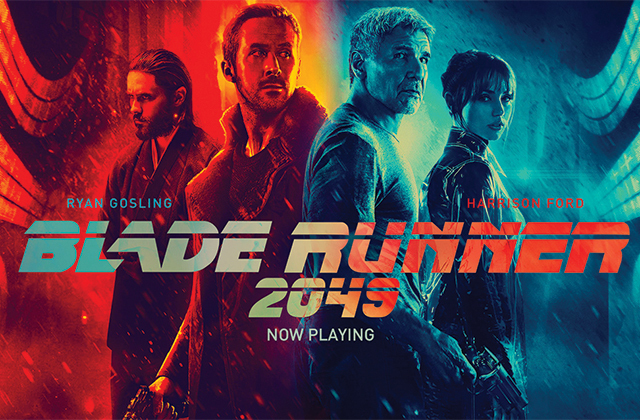 35 years after Ridley Scott first brought us the sci-fi classic Blade Runner and shaped the genre for decades to come, Denis Villeneuve has been tasked with delivering a worthy sequel which not only improves upon its predecessor but also expands on the universe which was set up three decades ago with Blade Runner 2049. Blade Runner 2049 stars Ryan Gosling as “K”, a blade runner who is tasked with tracking down rogue replicants. Along the way, he stumbles upon a revelation that threatens to reshape human-replicant relations forever. There has been a lot of hype surrounding this film following early reviews. It has been deemed a gamechanger in science-fiction, a masterpiece, one of the best sequels ever made. Well, after experiencing it in person, we can confidently inform you that Denis Villeneuve has delivered all of that and more. Blade Runner 2049 is a wonderful piece of filmmaking. Every frame is meticulously designed and shot to immerse the viewer in the universe first created in 1982. 13-time Oscar nominated cinematographer Roger Deakins (True Grit, No Country for Old Men and The Shawshank Redemption) once again displays why he is long overdue an Academy Award. His work on Blade Runner 2049 is nothing short of gorgeous. The shot composition, the depth of colours, the foggy neon backdrop, so much about the visual aesthetic of this picture is game-changing when it comes to how sci-fi is presented. It looks and feels like a true sci-fi epic, exactly how a Blade Runner sequel should be. Of course, this is all complimented by seamless direction from Denis Villeneuve. The French Canadian has built a formidable CV over the past decade with films such as Arrival, Sicario, Prisoners, and Enemy. The way he balances Deakins’ spectacular cinematography, Fancher and Green’s terrific screenplay, Wallfisch and Hans Zimmer’s spine-tingling score, and some of the finest special effects you are ever likely to see demonstrates the hallmarks of a director at the top of his game. Blade Runner 2049 is more than a flashy blockbuster which looks and sounds remarkable. It is also a fascinating examination of the human condition. It encourages the viewer to ask questions of themselves and the world around them, much like the first film did. The film, which clocks in at 164 minutes, takes its time to set up and pay off its various thematic plot threads, while leaving the door open for possible sequels in the future. Such is the deliberate pace of the picture that when the action hits and the story is paid off, it is both satisfying and highly gratifying. Finally, the ensemble cast. As expected, Ryan Gosling is excellent as “K”. The way he develops from a cold, calculating blade runner to a character facing his own inner existential turmoil is gripping to watch. He is not alone, as Harrison Ford makes his long-awaited return as “Deckard”, and he gives some of his best work in years. He is scarred, tortured, and traumatised from what he experienced 30 years prior at the time of the first movie. Elsewhere, Robin Wright, Sylvia Hoeks and, especially, Ana de Armas impress in the supporting cast, while Jared Leto is wonderfully menacing as central antagonist Niander Wallace. Blade Runner 2049 is an extraordinary achievement from everybody involved. Denis Villeneuve delivers a sequel that serves as its own standalone story, while also expanding the mythology of Blade Runner. Is it better than the first film? That is a subjective opinion but it is a film that should be studied for years to come, a true masterpiece.